Stellar Award-winner Rev. Dr. Emory C. Andrews is world renowned when it comes to the genre of Gospel music. Known as the former Director of Choirs and the Instructor for the Vocal Music Department of the Oxon Hill High School in Oxon Hill, MD, and the director of the 2010 Stellar Award-winning Oxon Hill School Choir, Andrews is also a gifted vocalist, composer, pianist and minister of music is also the leader of the 8-member ensemble Rev. Dr. Emory C. Andrews & Faith, a Gospel group known for their exceptional vocal skills and spirited performances. The ensemble just released two inspirational tracks, “So Blessed” and “Have Thine Own Way”. Both tracks are available on iTunes and CD Baby. The songs exemplify Gospel music at its finest. “Have Thine Own Way” is a memorable track, penned by Andrews himself. Showcasing the power and glory that only Gospel music can deliver, “Have Thine Own Way” flaunts the exquisite vocals of Faith. 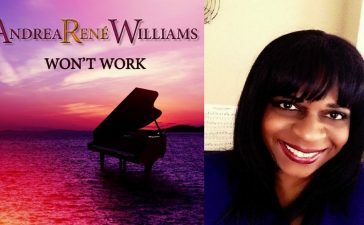 Guest vocalist Francine Jones showcases her soaring soprano voice during the five-minute song. A second single is the mid-tempo track, “So Blessed”. 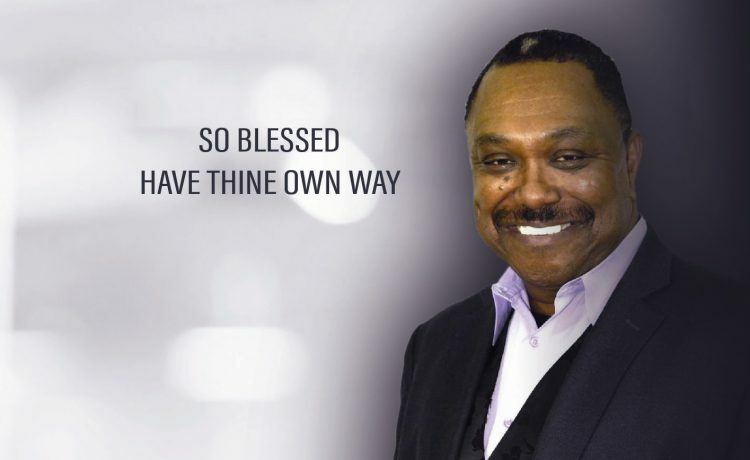 With lyrics of gratitude penned by Dr. Andrews’ godson, Raymond Holmes, “So Blessed” is the perfect opener for Sunday morning service. The hand-clapper features the lively vocals of the Joshua Generation and The DMV Community Choir. Fans of Rev. Dr. Emory C. Andrews & Faith don’t have to wait long. 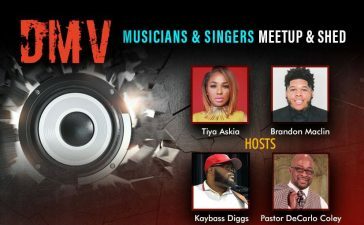 They will have their release concert on Saturday, October 28th at 5 p.m. at Rehoboth Baptist Church located at 621 Alabama Ave., SE, in Washington, DC. 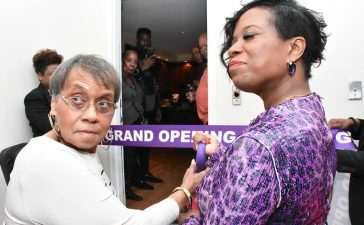 The CD Release Celebration will also commemorate the ensemble’s 27th Anniversary and will feature various artists and church ministries from the DMV. Dr. Andrews’ musical story begins in Florida. A native of Tallahassee, Emory Andrews learned the piano as a youth. With the guidance of his mother and a mentor at the local university, Florida A&M University (FAMU), he honed his musical talent. He played for the children’s choir at his church at the age of 7. Later, he went to a fine arts high school and studied music, ultimately graduating from FAMU. He continued his schooling at Florida State University and National–Louis University with a focus on Education. Once coming to the Nation’s Capital, his career took him to the District of Columbia Public School System, where he taught at Spingarn High School for ten years becoming Director of Choirs and Department Chairman. 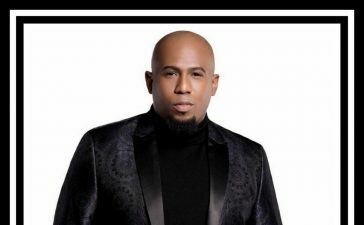 During his illustrious career, he’s mentored hundreds of singers and musicians both inside and outside the church and shared the stage with legends such as Richard Smallwood, Edwin Hawkins, Kirk Franklin and the late Rev. James Cleveland. Prior to his move to the Prince George’s County Public Schools in Maryland, Dr. Andrews was an adjunct professor and instructor at FAMU, Bowie State University and University of the District of Columbia. Upon his arrival to Oxon Hill Science and Technology High School in Oxon Hill, MD, he formed the Vocal Music Department and became the school’s Director of Choirs and the Instructor for the Vocal Music Department. A celebrated musician and director, presently he serves as Minister of Music at Rehoboth Baptist Church where Rev. Curtis L. Staley is Pastor. The church will be celebrating 153 years this year. Dr. Andrews is a member of First Baptist Church of Glenarden (FBCG) where John K. Jenkins is Pastor and Teacher. At FBCG, Dr. Andrews serves in the Music Ministry with the Fellowship Chorale. A member of GMWA and Administrative Assistant to the Dean of the Academic Division, Dr. Andrews is the Music Director for the District of Columbia Choral Union Chapter for the National Convention of Gospel Choirs and Choruses (The Thomas Dorsey Convention). For more information on Dr. Emory C. Andrews & Faith, log on to www.myemoryandrews.net. Connect with the ensemble on Facebook. City of Praise Family Ministries announces homegoing services for Elder John R. Peebles, Jr.